One aspect of the popular international sport of France-bashing involves attacks on the country’s collaborationist record during World War II, so it is refreshing to be reminded occasionally that collaboration was not the whole story and that there were many courageous people who risked their lives to stand up to the Nazi occupiers. 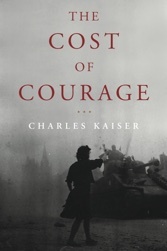 The Cost of Courage, by former New York Times and Wall Street Journal reporter Charles Kaiser, takes as its jumping-off point a family of Resistants in Paris and looks at how their postwar lives were affected by their anti-Nazi activities. Kaiser was drawn into the story by a personal connection: an uncle, Henry Kaiser, a lieutenant stationed in Paris at the end of the war, had lived with Christiane and Jacqueline Boulloche, sisters from a Catholic family who were active in the Resistance along with their brother André. Having heard the family’s stories from his uncle, Kaiser was still intrigued enough 50 years after the events to go to Paris to investigate further. He found a family that had suffered serious damage from its wartime activities and had lived under a veil of silence all those years, but whose surviving members were finally ready to open up, to some extent. Kaiser uses the stories of the three siblings, who were in their teens and early 20s when the Occupation began, as the backbone for a wider story that pulls many other Resistance members into its scope. He also provides the historical backdrop for relevant events of the war as they unfolded, including the activities of Charles de Gaulle and his Free France forces in London. There are many dramatic moments and narrow escapes in the book. Christiane gave up school and moved out of her parents’ apartment to avoid implicating them in her dangerous clandestine activities: coding and decoding messages, assisting radio broadcasts and delivering messages. In one scene, Jacqueline, unaware that her brother has just been shot and arrested by the Gestapo, returns to their secret apartment and starts to cook dinner. She is only saved from being arrested herself because she has popped out to buy wine when the Nazis return to the apartment an hour later. André was in the thick of things as de Gaulle’s military delegate in Paris, but ended up being sent to and surviving three German concentration camps. After the war, became a prominent French politician, but his wartime experience and that of his sisters left heavy scars on all of them. Because of the Resistance activities of three of their children, the Boulloche parents and their son Robert all ended up being deported to and dying (after being tortured, in the case of their mother) in German concentration camps. Kaiser tells a good story and has researched and written it well. My only complaint concerns the annoying use of the present tense throughout the book to describe historical events. 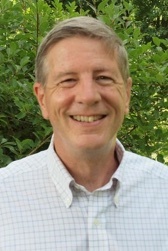 Otherwise, The Cost of Courage offers a valuable contribution to the literature of the Occupation from inside the Resistance while keeping the big picture of the progress of the war in focus.